The Golden Spice is the talk of any and all kitchens right now. Soaring in popularity, it doesn’t matter if you’ve never cooked a meal in your life or are a seasoned chef – you would’ve heard about its benefits. An ancient spice, turmeric is known for its incredible anti-inflammatory properties with its active ingredient being curcumin. Now, for the first time in your life, you can have it in your ice cream and smoothies! 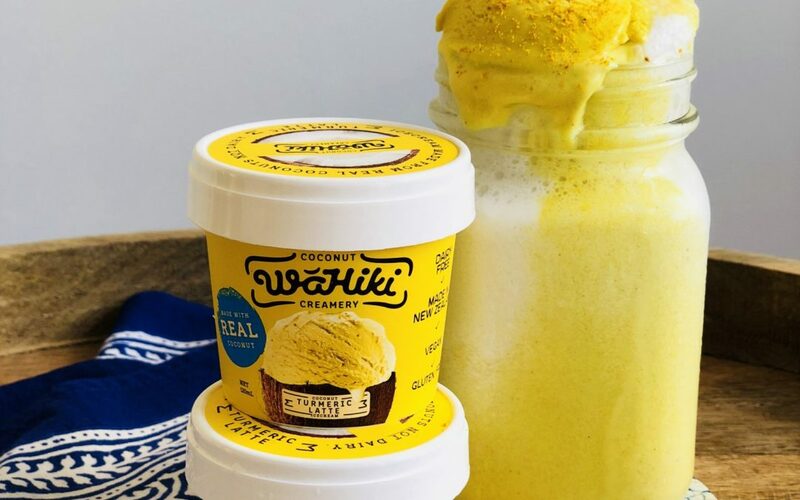 Wahiki Creamery brings you turmeric, black pepper (to activate the goodness of curcumin), cinnamon and banana to smooth out the taste, made with creamy coconut milk for the most sensational ice coconut turmeric latte of your precious life. Stuff dreams are made of. Please check www.wahiki.co.nz for store locator. In a blender Add 250ml coconut milk and 1/2 cup of ice cubes. 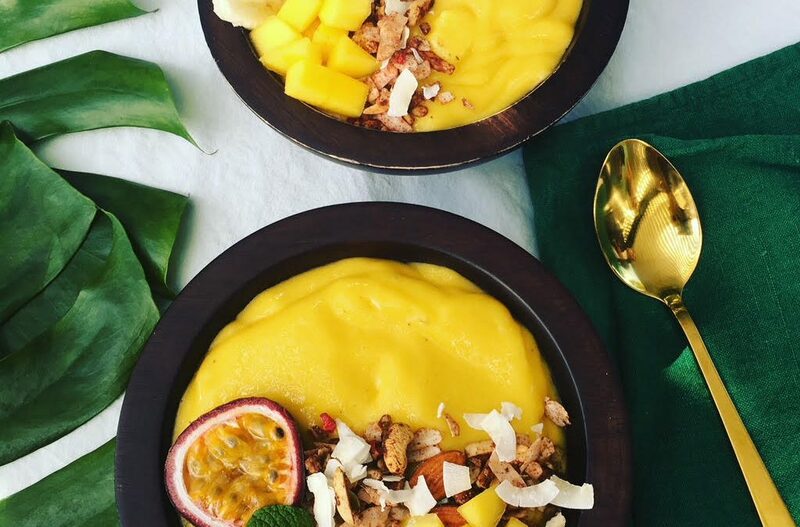 Top with a scoops of Wahiki Turmeric Latte Coconut Ice Cream and even a sprinkle of turmeric powder. 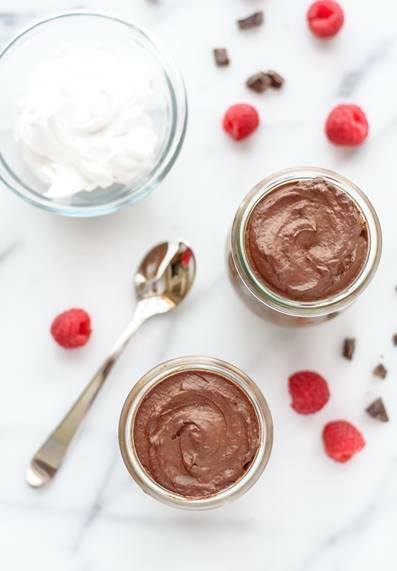 In a large bowl place the 2 and a half cups of coconut cream, 1 tablespoon of agave nectar, and 3 tablespoon of cacao powder and whisk. As you’re whisking slowly add the coconut water. It will become more dense and start to mix together. Get out a blender use half of the avocado, add a tablespoon of cacao, add the coconut oil, add 2 teaspoons of vanilla coconut sugar. Blend it up. Add this mixture into the bowl with the coconut cream. Whisk these two mixtures together. Once the chocolate milk is complete put it to one side. In a blender add one shot of espresso, add 3 quarters of a cup of the chocolate milk, add 2 and a half tablespoon of Wahiki coconut ice cream, and add the other half of avocado. Once done top up the blender with more of the chocolate milk. For the cashew cream you soak the cashews into half of the cup coconut cream make sure this is done the night before. Then put those into a blender until the cashews and the coconut become aerated and smooth. 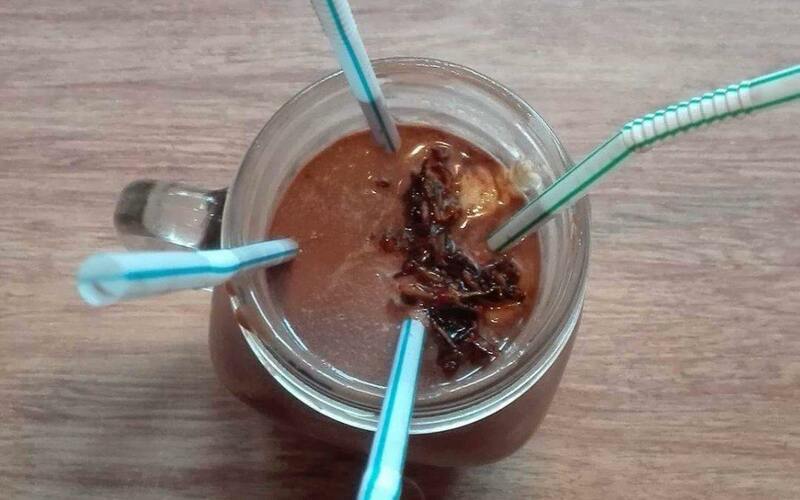 Place on top of chocolate milk in the glass. For the coconut shreds in a pan medium to high with a shot of espresso and a tablespoon of agave nectar. On heat until the coffee becomes a syrup consistency. And the coconut shreds are covered in the syrup. Separate the coconut shreds from the syrup. And put the coconut shreds back into the pan to caramelize. Once they have caramelized place on top of coconut cashew cream and pour a little of the coffee syrup over the top. Place in straws and enjoy. Avocado’s are delicious and so healthy. 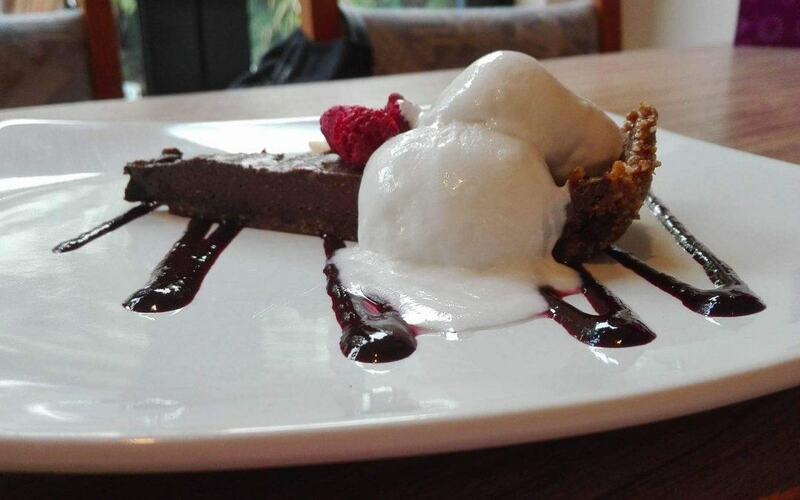 Healthy fats are so good to combine with our WAHIKI coconut ice cream. Blend all ingredients in a blender and serve with berries and WaHiki coconut ice cream. 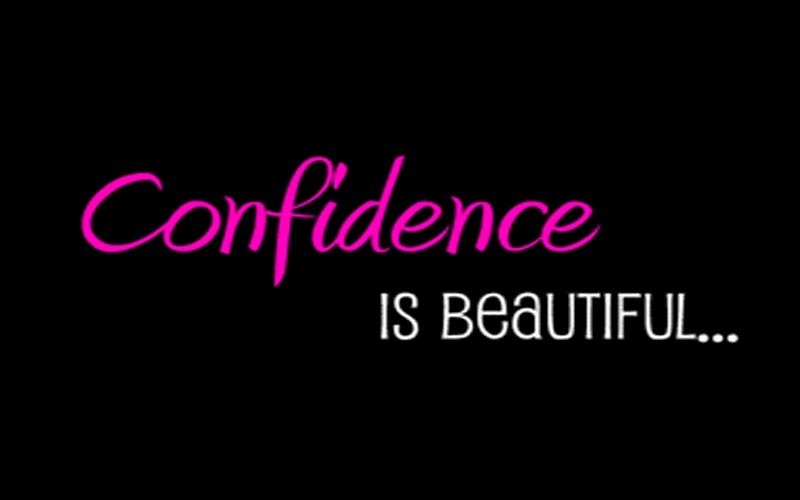 At WaHhiki we believe there’s power in self-confidence. Here’s how to get it. Self-confidence is a state of mind that can be achieved through intentional action. Taking a “WaHiki” (Time out in Māori) to nurture your mind, body and spirit (preferably one hour a day) can be done in a variety of ways. We prefer being in the water, exercise and mediation in the morning. If you’re not taking time for yourself, then you’re allowing someone or something to shape your view of the world. 2. Replace negative with positive. A whole new branch of psychology is dedicated to mindfulness, but it boils down to this: Negative thoughts and insecurities will always pop up. So, mindfulness practice teaches you to treat thoughts as tools. Be mindful of negative thoughts, acknowledge them, discard them and replace with a positive thought. Controlling your mind is a journey so take your time to strengthen your mind. 3. Live a lifestyle of personal growth. Putting yourself into courses or professional relationships that force you to grow ensures that you’re always expanding, which in turn generates confidence. From therapeutic programs to leadership programs to physical programs, committing to this kind of regular growth and showing up and being fully present are the keys to confidence. 4. Learn about impostor syndrome. Many professionals will at some point experience a psychological phenomenon known as impostor syndrome, complete with feelings of inadequacy and a fear that everything accomplished to date has been through sheer luck. To overcome this, learn to internalize accomplishments. Peer groups are a great place to talk it out and build confidence. No matter what level of business you’re in, it’s important to dress for the client you want, rather than the client you have. There’s this idea of working from home in PJs. The most successful people get up early and dress like they’re off for a day at the office, and it’s reflected in their attitude. When you look good, you feel good and you’re more confident, too. 6. Take an improv class. Improv classes make you think on your toes in front of an audience. Being on stage helps grow your confidence; being in front of crowds teaches you how to think and react quickly—all things that translate well to a boardroom or public speaking opportunity. 7. Produce a high-quality personal brand. At WaHiki we believe that a key component to building self-confidence is in publicly building one’s own brand. This can be done through the creation of high-quality content like blog posts, e-books, podcasts or video content. Even if it doesn’t receive much traction initially, the fact that you have a body of work that you are proud to refer others to can make a big difference in your self-confidence. 8. Recognise your value outside of your work. Your self-confidence needs to be rooted in who you are completely outside of your success in business. So find ways to get connected with yourself and grow. Perhaps volunteer, do pro-bono work, meditate, work out, read, hang out with friends. Whatever it takes for you to see your value regardless of how well [you’re doing professionally].